We have all been out with those friends that can’t stop taking selfies! I mean, they now have a Selfie Stick to make it even easier to snap those obnoxious photos. While your friend thinks they are getting the perfect picture, you jump in and give a photobomb that everyone will be talking about for days! While we may enjoy the occasional photobomb, it looks like celebrities are just like us! They always say it, but now we know it is true! Check out some of the best celebrity photobombs here! 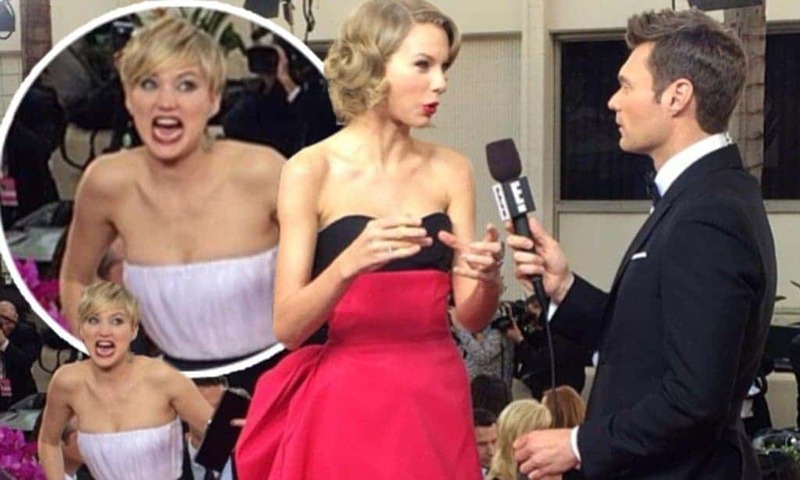 Jennifer Lawrence has become the Queen of Photobombs and she never disappoints! This is on the red carpet for The Hunger Games premiere and her fellow cast should know to keep an eye on her. You never know what she is going to do! A happy family on the Empire State Building and taking the routine tourist picture, but they probably weren’t expecting Jon Hamm and Jimmy Fallon to sneak in there. We would definitely not be upset to have them photobomb our pictures! Award shows can be very lengthy, especially when the stars are walking the red carpet forever. 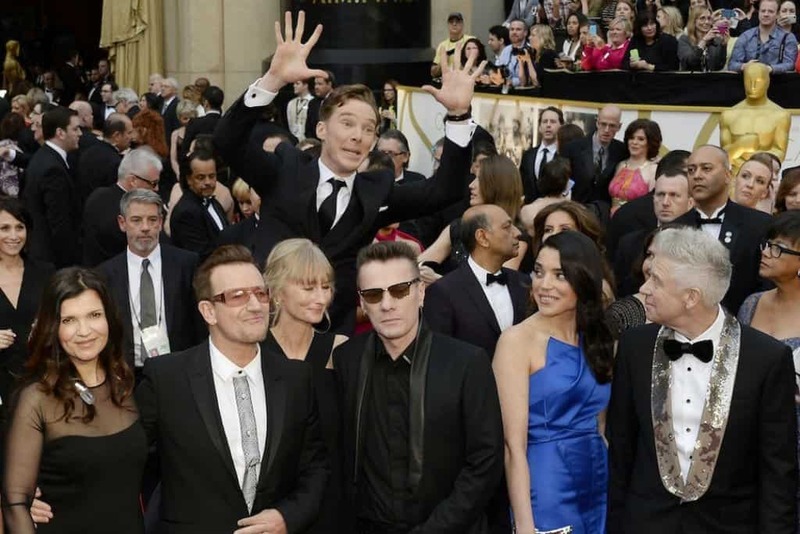 They pose for so many photos, so it also allows for many photobomb opportunities and Benedict Cumberbatch did just that. We love how into it he got and he gets up high! You just had a huge night at the Oscars and are backstage celebrating your victory and posing for pictures, which probably gets old real fast! 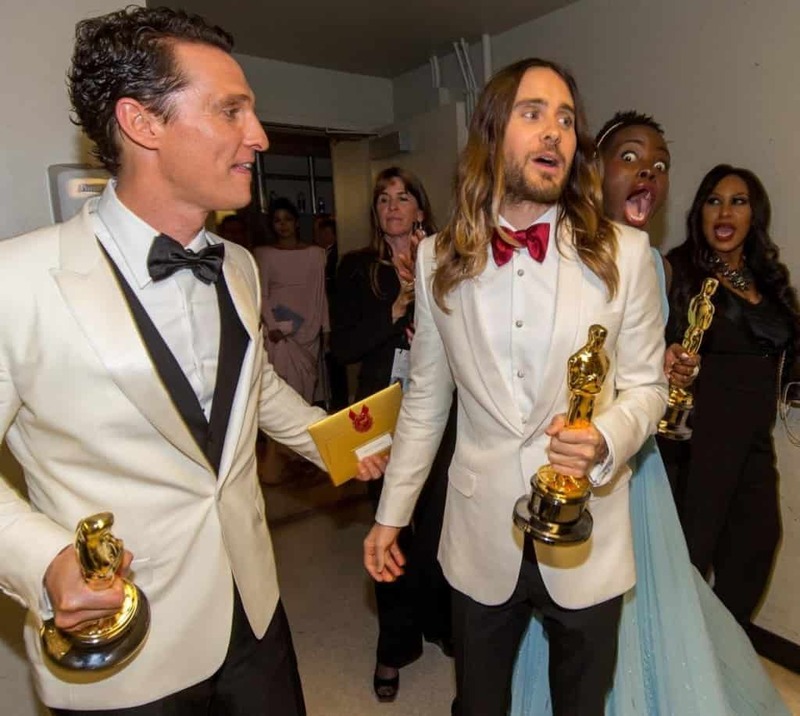 So, to spice it up, the beautiful Lupita Nyong’o sneaks in for a photobomb and that face is priceless. 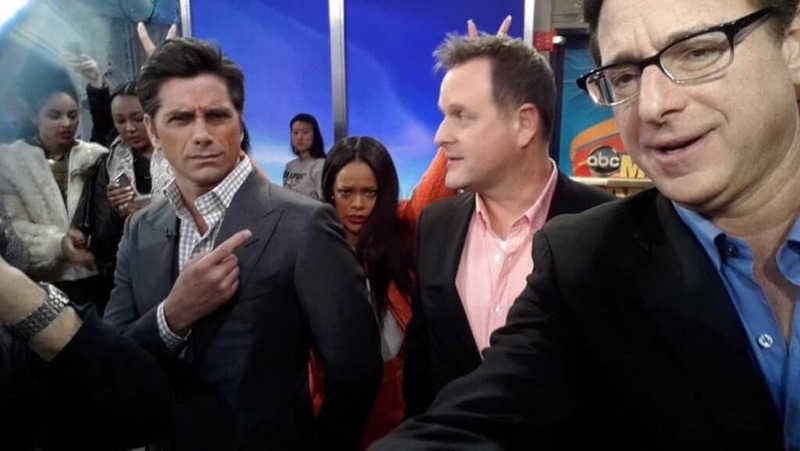 Nothing like a Full House reunion on Good Morning America to bring out the best in Rihanna. She was there to perform, but GMA was loving this photobomb that they shared on their Twitter account. Joe Jonas is probably upset that his little brother is sitting in the front row at the awards show. 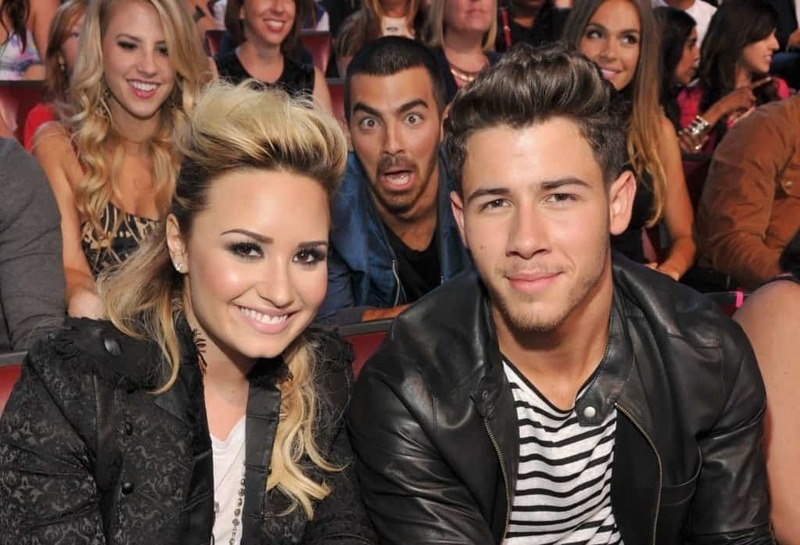 He is probably also upset that Nick Jonas is sitting next to Joe’s ex, so he took the chance to photobomb one of the many photos they probably took that night. 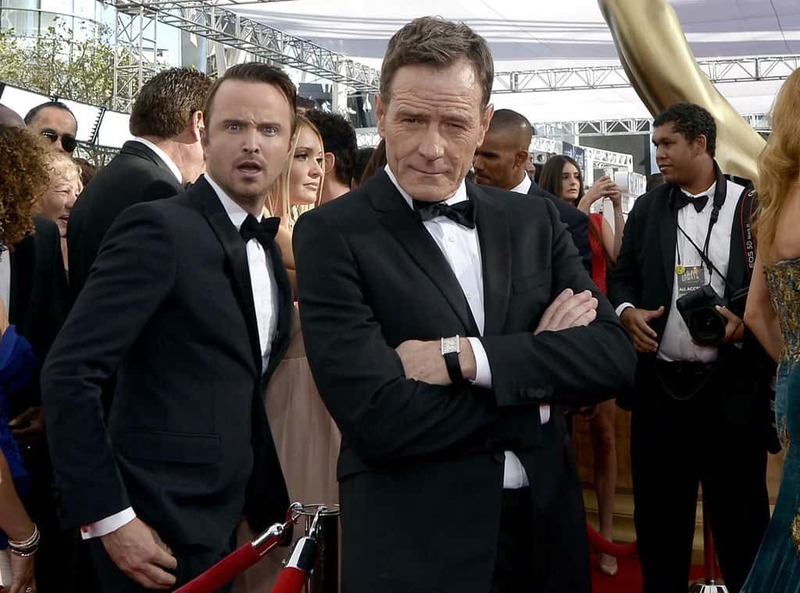 We wouldn’t want to upset Bryan Cranston in any way possible, but fellow Breaking Bad star Aaron Paul is not afraid of him! Those red carpets get boring, so the stars have to entertain themselves somehow. If you are going to do some photobombing on others, you can only expect it to come back at you! 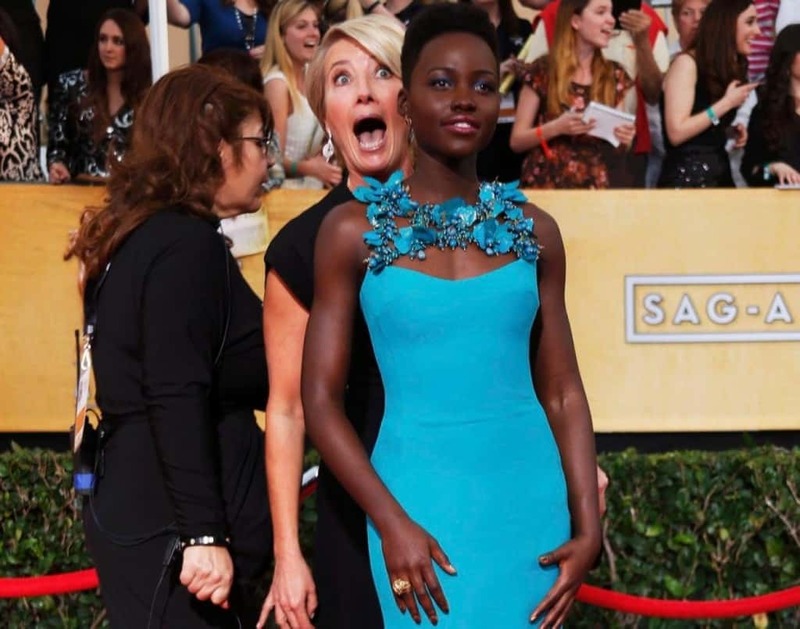 That is what happened here, as Lupita Nyong’o gets karma, as Emma Thompson surprises her on the red carpet. That face though! We love everything about this photo! 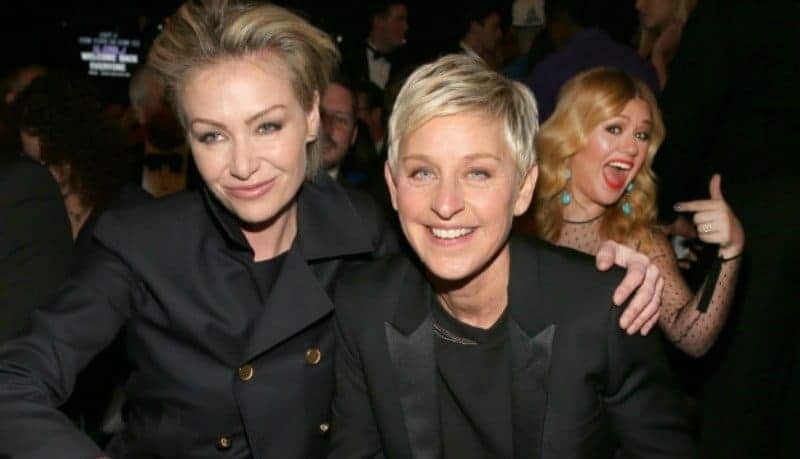 Kelly Clarkson is amazing and was getting a little bored at the Grammy’s, so photobomb the celebrities in front of you. Nothing else to do, but Ellen will get back at you! 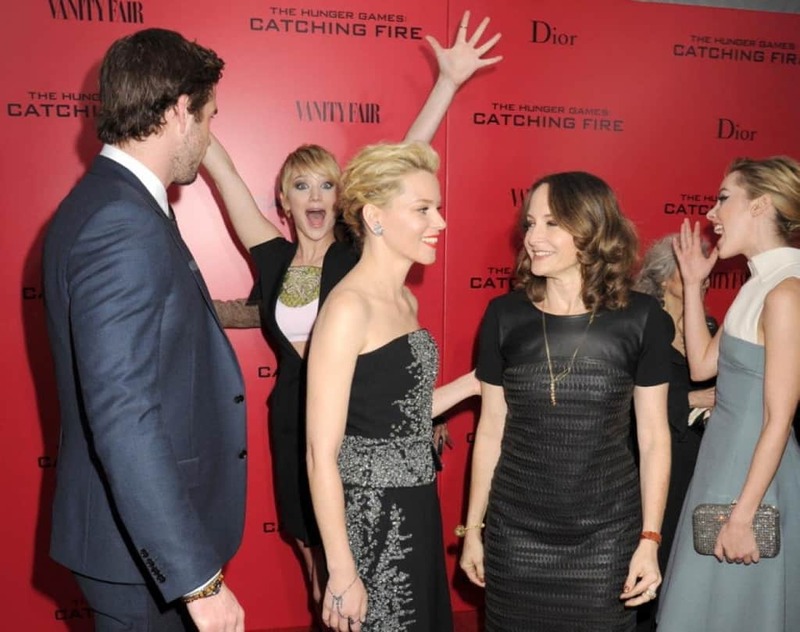 We told you that Jennifer Lawrence was the Queen of Photobomb. No one is off limits for her, as she goes after Taylor Swift while being interviewed by Ryan Seacrest. The faces these celebrities make are priceless! You can’t beat a good ol’ bunny ears, right? Zooey Deschanel went old school for this photobomb at the Golden Globes. Jesse Tyler Ferguson didn’t see them coming! Who doesn’t love them some Tina Fey? And how gorgeous does Mariska Hargitay look in this photo? Tina was having some fun at the Golden Globes and decided to do some posing with Mariska, even if she didn’t know! 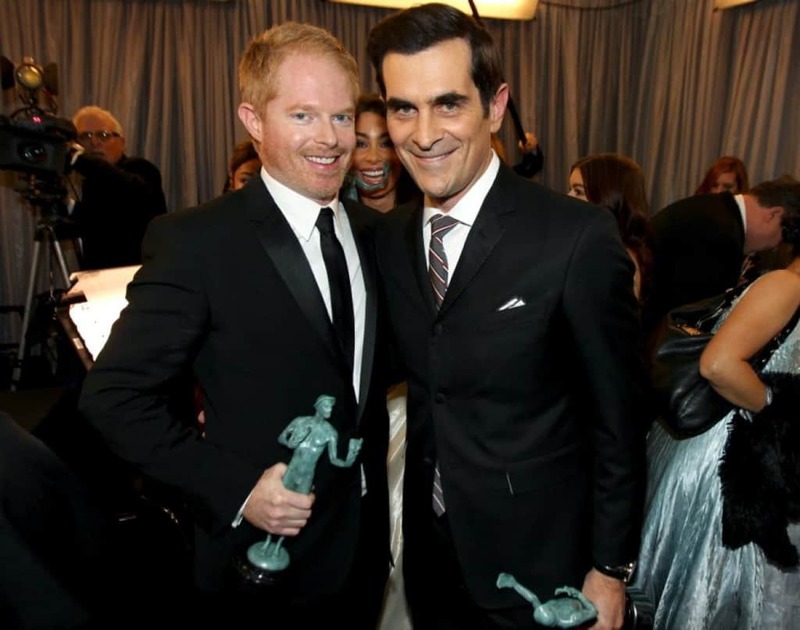 If you can’t tell, that is Sofia Vergara sneaking in behind Jesse Tyler Ferguson and Ty Burrell. 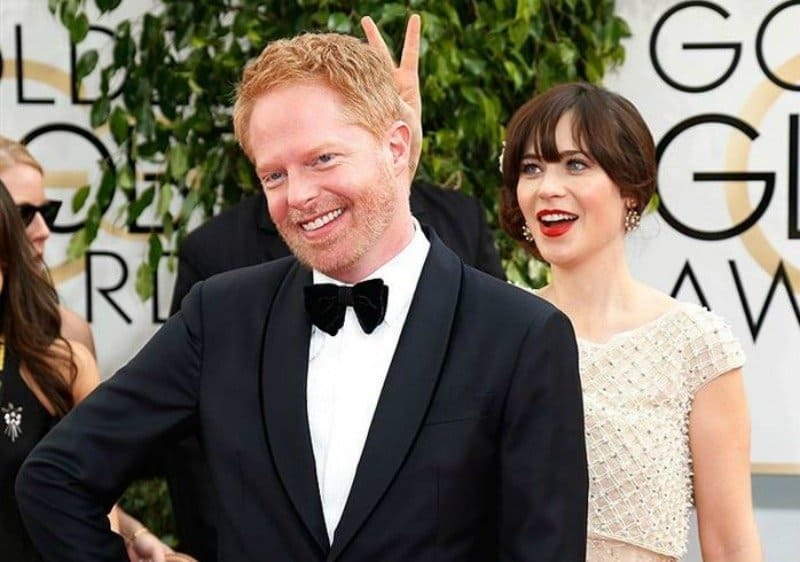 It looks like Jesse Tyler is a popular photobomb candidate, huh? They all have their SAG Award in tow though! Talk about old school, right? We have Katy Perry and Russell Brand still together and we have Justin Bieber looking like such a little boy! This is before Justin started acting like a douchebag, but this photo is great. How amazing is this photo? You are enjoying the best day of your life and looking for that great wedding photo in Times Square. 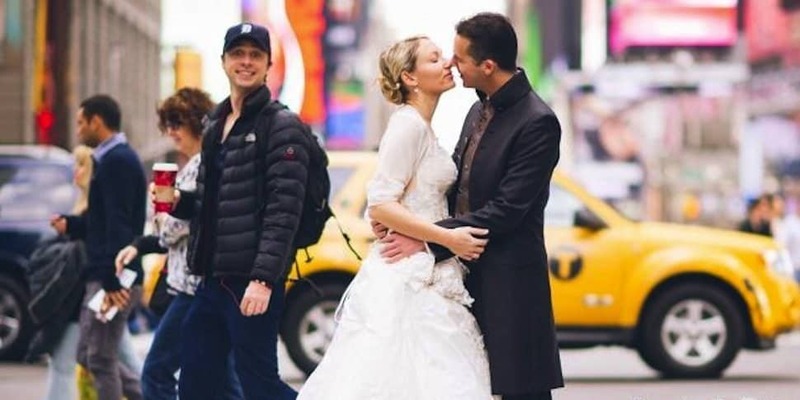 You might expect some people walking behind you to add to the photo, but they probably weren’t expecting Zach Braff to walk by and photobomb them! 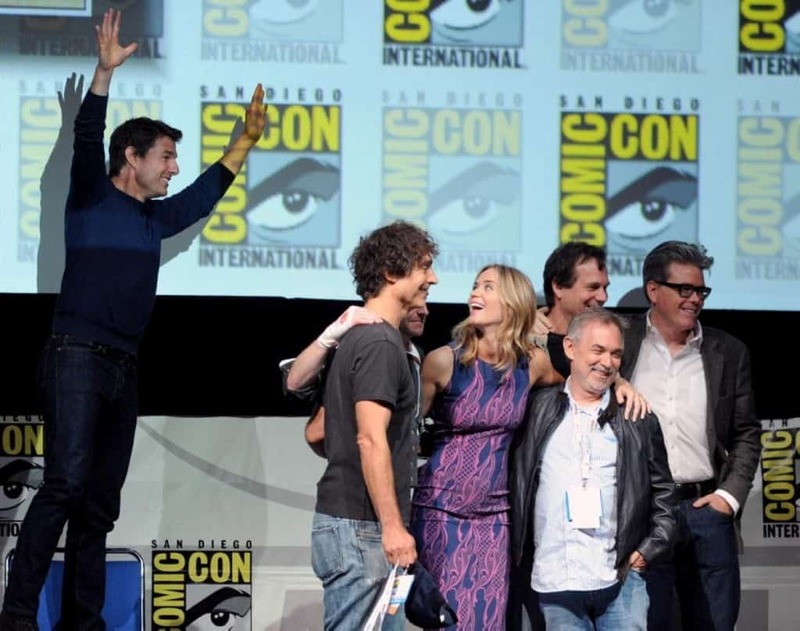 Even Tom Cruise is getting in on the fun, as he stands on a tall box to get his tiny frame over everyone else in this picture at Comic Con. Tom likes to jump on things, but he chose a box this time. 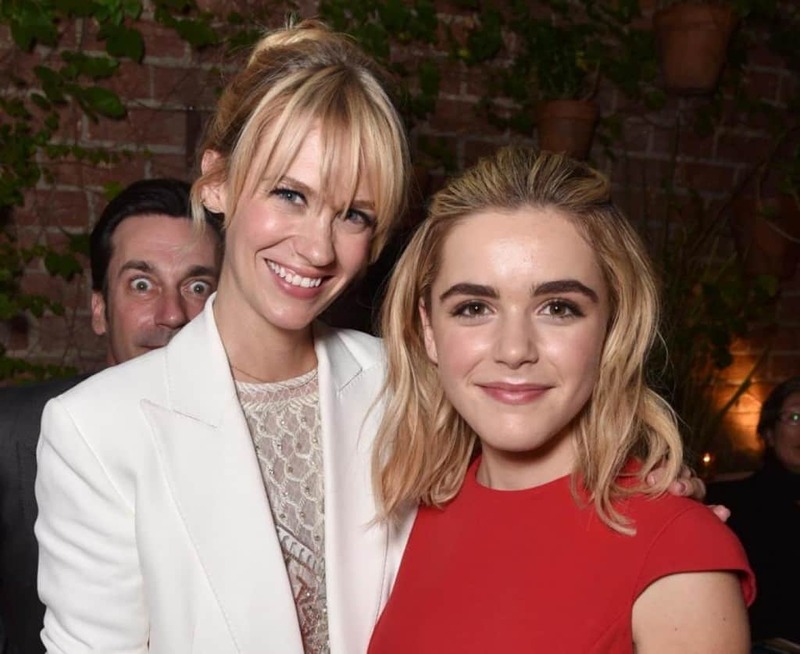 It looks like Jon Hamm is a fan of the photobomb, right? Earlier it was with Jimmy Fallon and now he goes it alone, as he sneaks in behind his Mad Men costars. Those eyes make this a perfect photobomb! 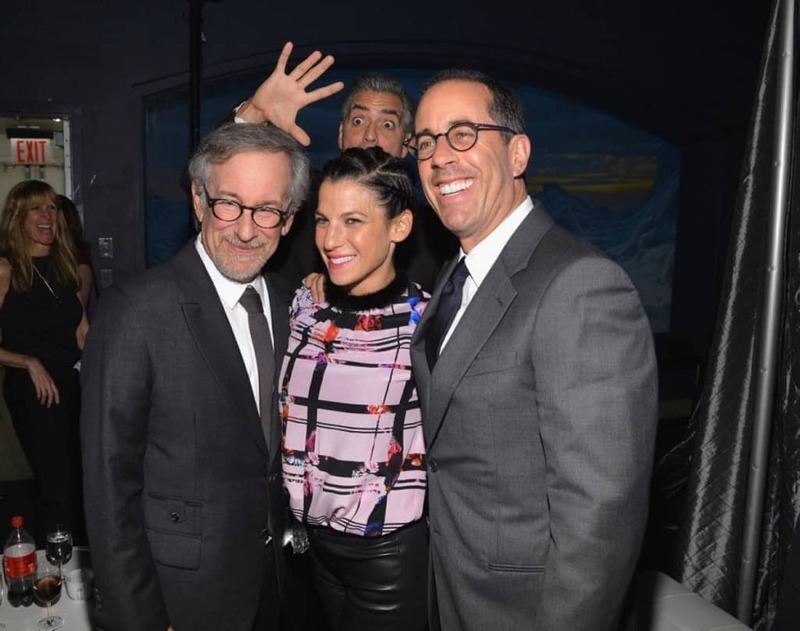 Who, in their right mind, would photobomb Steven Spielberg, Jerry Seinfeld and his wife? Only George Clooney could do this and get away with it! Even the biggest names in Hollywood are doing it. I would expect something like this from Jack Black, but it makes it even more amusing seeing Dustin Hoffman in there. Angelina Jolie poses for the press, but the guys sneak up to be included in the photos. 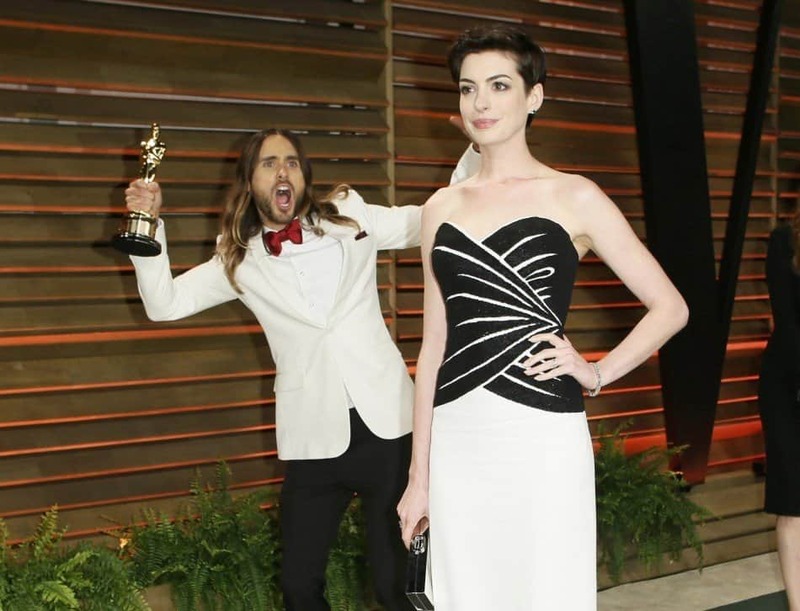 Jared Leto had it happen to him, so why not return the favor to Anne Hathaway? You have to keep the photobomb circle moving along and Jared does not let that circle die on his hands!